SLKC Karting Wasanthaya, the first ever karting experience in the hill country will operate from April 8-22 -2019 at Car Park 04, Upper Lake Road, Nuwara Eliya. 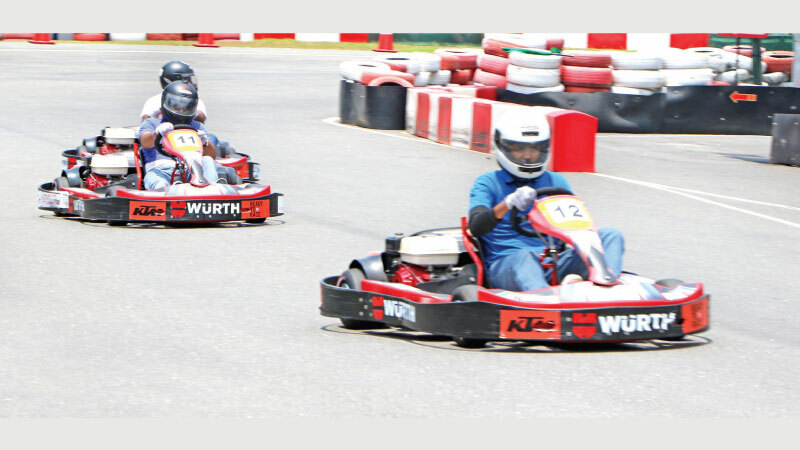 A fleet of several types of rental karts for different skill levels, including children, along with the required safety equipment and a mini track will be on offer for anyone who wants to try out the sport or simply have a thrilling, fun filled experience. SLKC Karting Wasanthaya 2019 will also show case the extensive products and services offered by the David Pieris Group. Visitors can test drive the Bajaj QUTE, the first quadricycle to be introduced to Sri Lanka or check out Europe’s No 1 Racing bike - the KTM brought to you by David Peiris Motor Company (Pvt) Ltd. Assetline Leasing and Assetline Insurance Brokers will also be on hand to provide attractive leasing and insurance options to allow customers to avail themselves of these new and exciting products. Genuine Bajaj spare parts and an interactive game to identify fake parts will no doubt provide additional entertainment. Visitors can also quench their thirst on healthy drinks and snacks with Eliya brand organic fruit juices, with no added sugar or sweeteners, and organic dehydrated fruits and vegetables from David Pieris Global Ventures (Pvt) Ltd.
SLKC Karting Wasanthaya 2019 will no doubt add another never before experienced dimension of fun, and entertainment to the traditional April Season in Nuwara Eliya.